Have you ever noticed that the journey to a new place always takes longer than the journey back? Why is that? 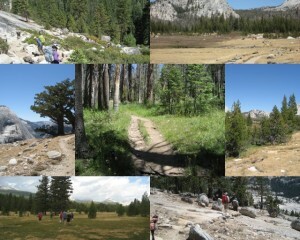 I hiked a new trail the other day and it seemed to take me forever to go one mile. But then when I returned by the same route, it seemed to take but a few moments. Has this kind of thing happened to you? Maybe you’ve taken a wrong turn when driving, and it seems you’ll never reach a turn-around spot. But then once you do turn around, it takes no time to get back to the spot where you went astray. This all got me thinking about how each of our experiences better prepares us for the next. It’s what John Dewey calls continuity, with each experience being influenced by those that came before, as well as impacting those that will take place in the future. Knowledge from one situation becomes the basis for understanding experiences that come later. 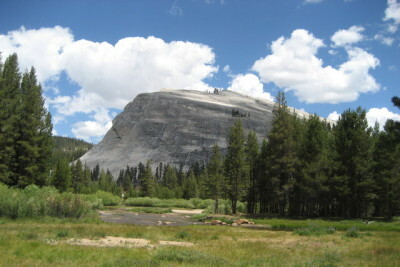 (Dewey, 1938) Whether on a new hike or driving a new road, we are better prepared each subsequent time we take that path. We know more clearly what to expect – what the hazards, stumbling blocks, distractions, or pleasures might be. Because of this, learning at work – whether it takes place in a “classroom” or on-the-job – will be most effective when experiential learning methods are incorporated. This might be done through simulations, role-play (I hear you groaning, but this really can be a great tool), field work, or other practical application opportunities. 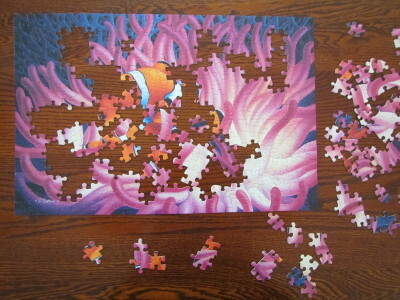 At other times, individuals and groups may participate in purposeful activities that are not directly related to their normal work environment. These experiential learning activities incorporate reflection and processing steps that allow learners to make connections back to their day-to-day environment, and gain understanding at a deeper level. By intentionally creating continuity in the learning process, skills and capability are developed at higher levels and with greater sustainability. Think about some of your best learning experiences. What made them effective? Dewey, J. (1938). Experience & education (1st Touchstone ed.). New York, NY: Simon & Schuster. What happens when a “normal” conversation suddenly takes a turn and becomes something much more? How can you become more aware so you can successfully navigate those more difficult conversations? What can you do to keep a crucial conversation on track and solution-focused? 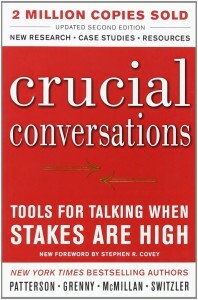 In Crucial Conversations: Tools for Talking When Stakes are High by Patterson, Grenny, McMillan, and Switzler, you’ll learn how to recognize when someone feels unsafe in a conversation, and also what you can do about it. You’ll learn strategies to continue a dialogue toward a successful outcome, even when emotions begin to run high.The authors use examples that are easy to connect with, and demonstrate how different types of responses can influence outcomes when conversations turn crucial.